Did you make a medialution (resolution about media use) this year? Even if you haven’t, it’s never too late to start a healthy medialution with your family. 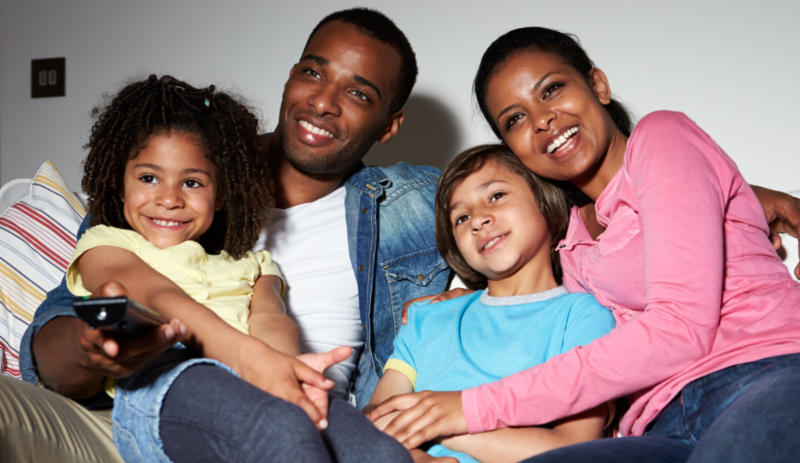 Choose a goal that you and your whole family can agree on, that also benefits everyone in some way. Examples include, making family meals media-free or designating a common room in your house where everyone leaves their mobile devices to charge overnight. Make it mandatory. Actions that you want to turn into ‘no-brainer’ habits can be made that way by eliminating choice. For example, if your family decides to have media-free breakfasts together, make sure that the option to use a cell phone isn’t available. You can do this by setting up a collection basket where every member of the family can turn in their mobile devices before the meal, and then collect them afterwards. This way you eliminate the temptation to check a text message, or play a quick game while at the table. Hold each other accountable. When you make your medialution as a family, make sure that each of you agrees to hold everyone accountable. For example, if you decide to implement a Thursday night book club where the family reads together, make sure that every member of the family sticks to it, and supports each other in the process. This can be accomplished through helpful schedule reminders, or by reaching out if a family member skips an evening to let her know how much she was missed. It is much harder to break a resolution when you know someone is counting on you to make it. Tips adapted from the Wall Street Journal. Are there studies demonstrating that media education benefits children/teens? While some media education programs in the U.S. and elsewhere have been created on a solid foundation of theory and research, and some have been rigorously evaluated, the effectiveness of any program in helping children understand how media affect their actions, choices, emotions, and world view depends on its design and execution. Read the full answer here. David Bickham, a Research Scientist at CMCH, reflects on how his perspective on media effects changed once he became a parent, and evolved even further when his young son was briefly hospitalized. Take a look at the full post and follow along every month at Ask The Mediatrician. Researchers examined a variety of articles, and found a common thread: in order to reduce screen time, both schools and parents must be involved. Read more. CMCH’s Kristelle Lavallee talks with Southern Remedy’s Dr. Susan Buttross about using social media in healthy ways. Listen here!